Beautiful flowers bring a smile!! 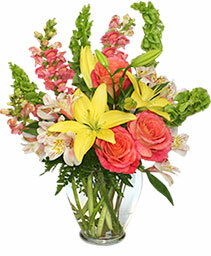 !Beautiful roses are our specialty. 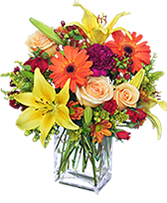 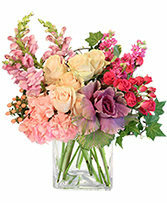 Some flowers or vase container may be substituted if not available. Cheerful butterflies dance in this garden filled with orange roses, lavender carnations, purple irises, lavender heather, purple liatris, and bells of Ireland. 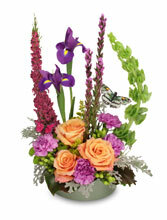 Spring has sprung in this arrangement! 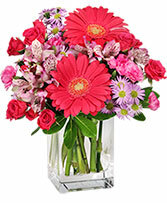 Send some flowers today! 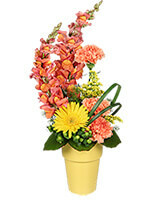 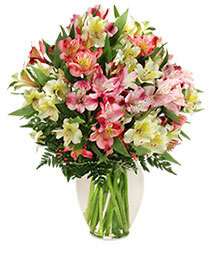 Some of the flowers or container may be substituted if not available.